The use of wall stickers is a fast-growing trend. If you want to transform your room into a whole new space, installing wall stickers is one of your bet options. 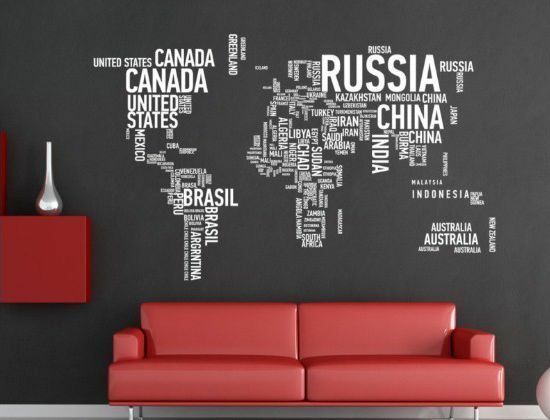 That is where a wall sticker company can help. Wall stickers come in various patterns, sizes and designs. Each type is usually named after the graphic element, pattern or design of the sticker. You can find stickers with designs of flowers, buildings, heroes, cars, cartoon characters and more. There are also different patterns to pick from such as colored dots, silhouettes and motifs. When choosing a wall sticker, you should consider the theme you would like to implement in your room. Keep in mind that your immediate environment has an effect on your mood. So, you should go for a sticker that would complement the paint of your room and reflect your personality and style at the same time. You would feel more excited and relaxed whenever you look at the decorating elements in your room. The wall sticker should suit your preferences and your budget of course. For example, if you love natural atmosphere, you can use wall stickers printed with natural scenery to decorate your room. Wall stickers can be used in various ways. You can decorate your walls to make your room more aesthetically appealing. If you live in a dormitory or apartment, wall stickers are a great way to personalize your bed space. In your office, you can install stickers that reflect the nature of your job to make your work area brighter and more relaxing. Wall stickers can also serve as instructional or play materials for kids. Removable stickers that have animals, numbers, alphabets and other familiar items can be used to make children active and entertained. Wall stickers offer a lot of benefits. They are durable and can be removed without damaging the wall and the paint. Wall stickers are also easy to install or moved if you want to make some changes in your place. They are also very affordable. Compared to a new painting job, wall stickers are a cheaper option. Wall stickers add a unique touch to your room as they reflect your style. They allow you to express your creativity and what you really love. Wall stickers can improve the look of your room. The accent wall would become the main point that grabs attention. We provide customize wall sticker printing and installation. Whether you need to decorate your house, office or shop, just feel free to contact us.